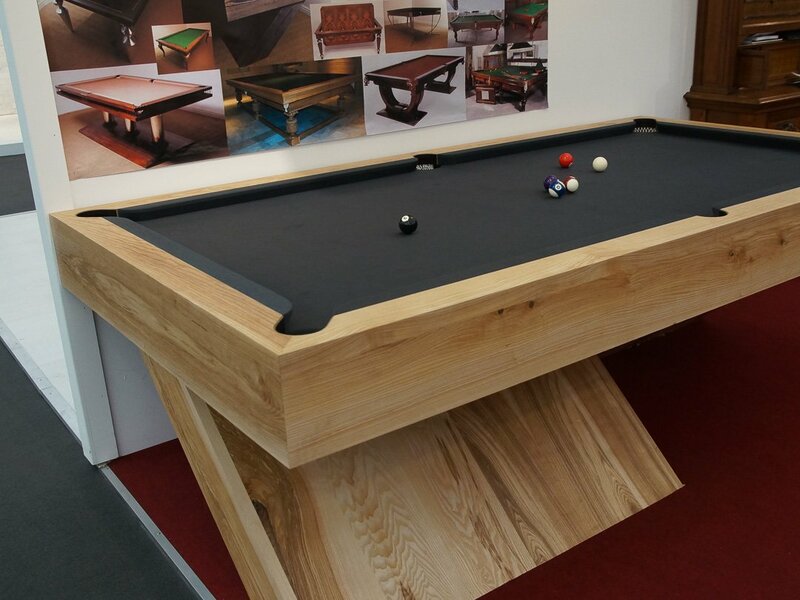 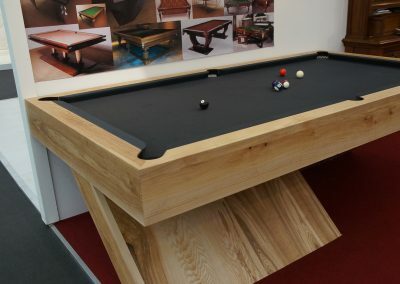 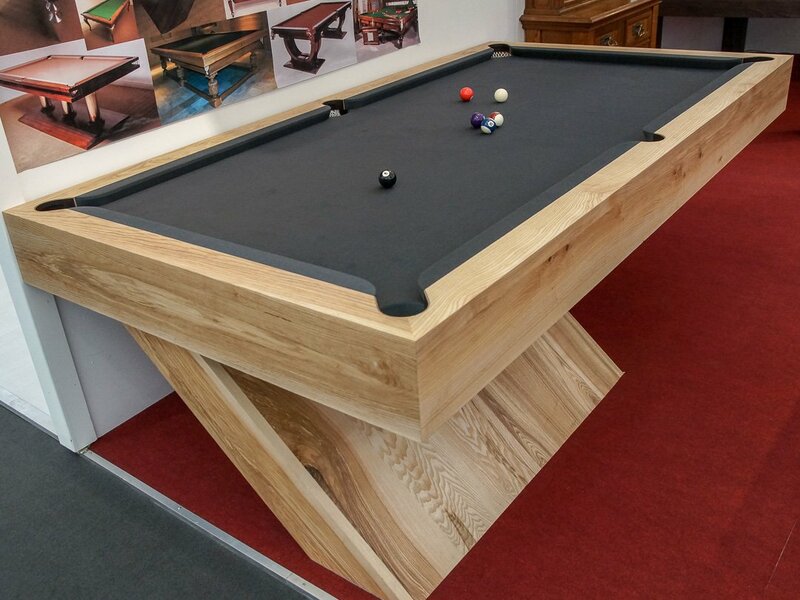 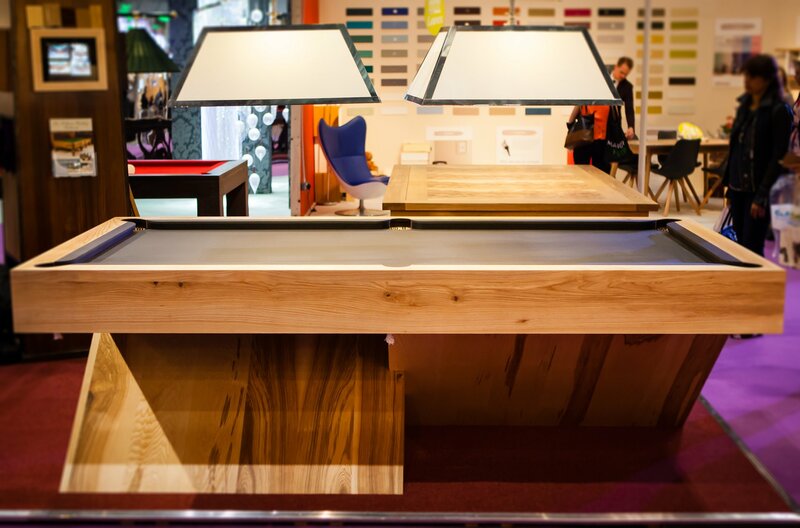 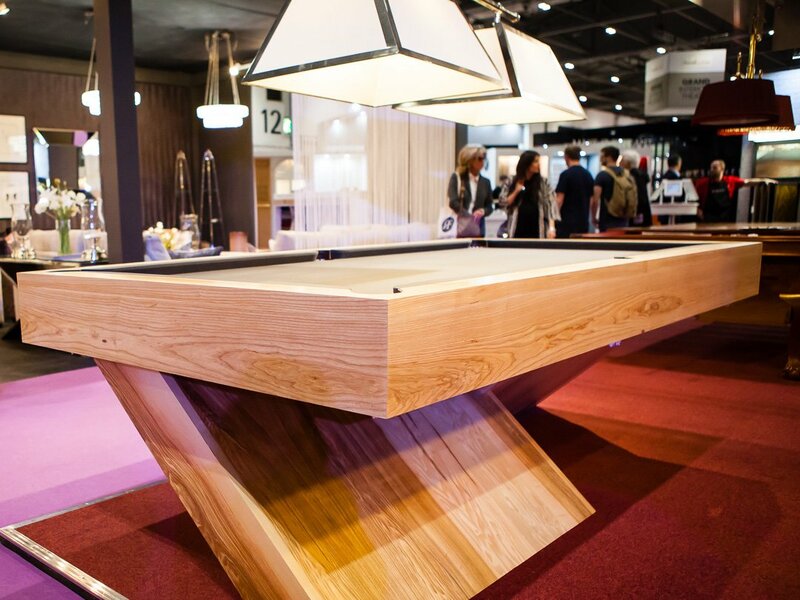 Available immediately, we have an one 8ft x 4ft Cantilever Pool / Snooker table – similar to those in the photos – though, of course, no two of our tables are the same. This one has just been handmade from Ash, in our workshps and is awaiting a choice of Hainsworth Smart or Elite Pro cloth, and a decision to be made about the completely bespoke finish. 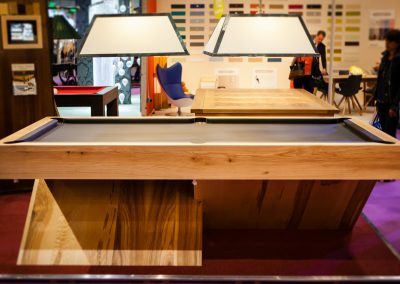 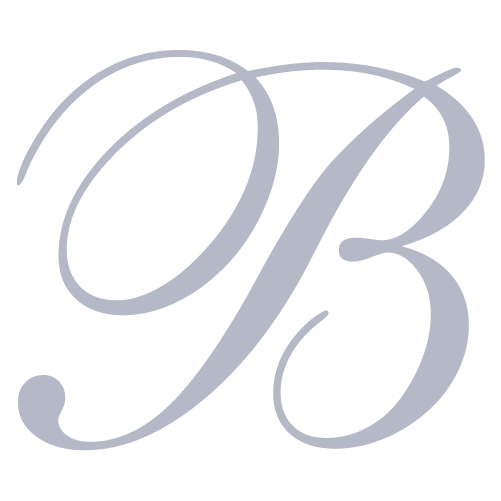 It could be simply sealed with a 5% finish for an extremely matte, natural wood feel, stained in many shades of grey to black, or even painted in your chosen colour. 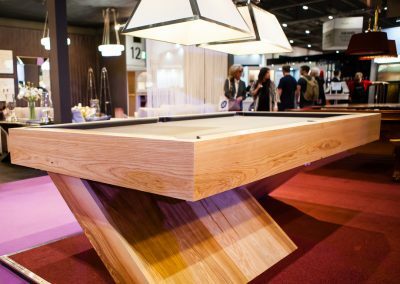 So, if you like to be the one to specify this stunning table for your own property – please get in touch, and we’ll be happy to assist you.